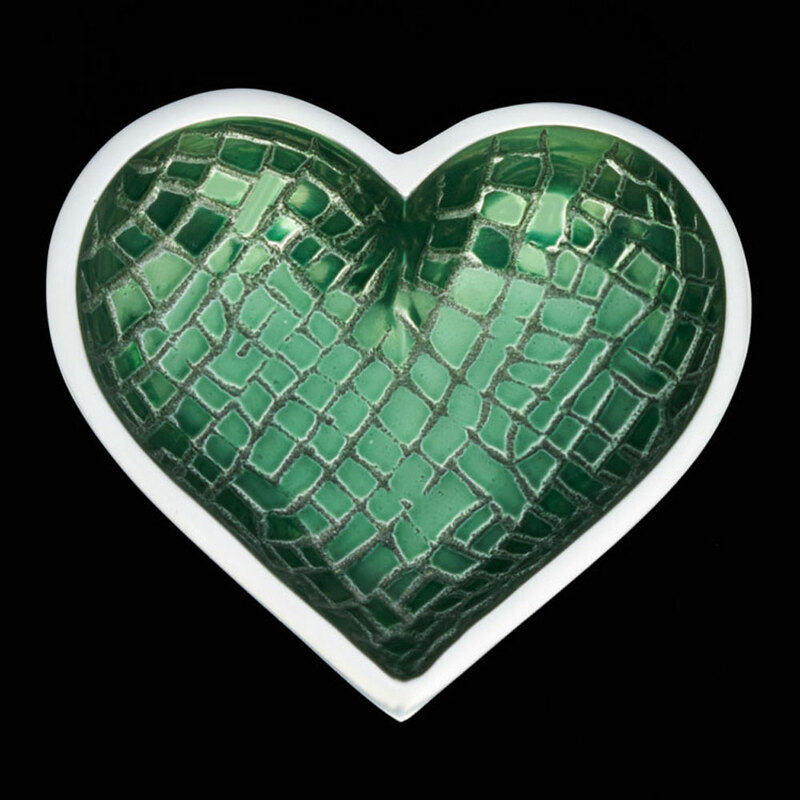 Croco Hearts make it easy to show someone your love! They're available in seven rich or metallic tones with a textured mosaic pattern. Fill 'em with yummy candies, nuts & dips...or use them as colorful catchalls for jewelry & other small items. A shiny Lil Heart Spoon comes with every dish. Croco Hearts nest perfectly with our smaller 4" Tiny Hearts for double the love! Also Available: Bronze, Silver, Plum, Rose Gold, Black & Gold. Handcrafted of food-safe polished aluminum. Size: 5"; Spoon-4"